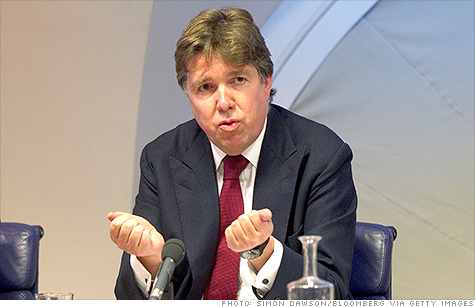 Bank of England Deputy Governor Paul Tucker said he isn't confident in interest rates after revelations that Barclays manipulated Libor. NEW YORK (CNNMoney) -- Millions of consumers and small businesses around the world have been vaguely familiar with Libor, the benchmark rate used by banks to set interest rates for loans. In recent weeks, those borrowers have heard more about Libor -- and what they've heard is scary. A scandal sparked by the revelation that Barclays (BCS) manipulated Libor has taken away much of the trust that banks are setting rates on loans fairly and honestly. The June 27 settlement between Barclays and U.K. and U.S. regulators stipulates that the manipulation stopped in 2009. But Bank of England Deputy Governor Paul Tucker told a committee of Parliament on Monday that he no longer has faith in Libor's current legitimacy. "We can't be confident of anything after learning about this cess pit," Tucker testified. Connan Snider, professor of economics at UCLA, agrees. Snider authored a 2010 study that cast doubts about whether Libor rates were accurate, and outlined the incentives the banks had to game the system. Snider said he thinks there is less misrepresentation going on today than there was at the height of the financial crisis in 2008 and 2009. But he said no one can say whether the rates are accurate today. "It's a systematic problem when the rates are not quoted transparently," he said. "You see [in the Barclays settlement] how easily it's done." Libor is used to set the rates that consumers and small businesses pay on mortgages, credit cards and other loans. The British Bankers Association, which oversees the process of setting of Libor daily, estimates that it is used as a benchmark on about $10 trillion worth of outstanding loans worldwide -- a total so large it is slightly more than all U.S. home mortgage debt. Libor's impact on current American mortgages has been limited by record low rates on fixed-rate mortgages, said Keith Gumbinger, vice president of interest rate tracking service HSH.com. Variable rate mortgages, whose rates are tied to Libor, are now less than 10% of the market. Roughly half of $2.5 trillion in U.S. credit card debt has a variable rate tied to Libor, according to Gumbinger. But those cards have a minimum rate that consumers are charged. In the current low interest rate environment, Libor would have to rise 3 or 4 percentage points before consumers would feel the impact on their credit card bill. Still a few years ago, during the period Barclays has admitted to manipulation of Libor, the rate was high enough to impact credit card rates. Variable-rate mortgages were also a much larger part of the market then. Libor scandal: How big will this get? "Libor may be the single most important data point that impacts trillions of dollars worth of credit," said Barry Ritholtz, CEO and director of equity research at Fusion IQ. "This is as big a scandal as anything we've seen in recent years. This is trillions of dollars that have been manipulated." As part of the settlement, Barclays agreed to pay $453 million in fines, and admitted its employees regularly misreported what it cost the bank to borrow money to the organization that was calculating Libor, which stands for London Interbank Offered Rate. Barclays also admitted to colluding with other banks to manipulate their reported lending rates as well. Manipulating the rates helped the banks post huge profits by trading an estimated $350 trillion in derivatives by betting on the direction Libor would take. Suspicion has now fallen on the other 17 banks that help to set Libor. Many of them -- including Deutsche Bank (DB), Royal Bank of Scotland (RBS), Credit Suisse (CS), Citigroup (C, Fortune 500), UBS (UBS) and JPMorgan Chase (JPM, Fortune 500) -- have disclosed that they are being investigated. Critics of the current rate-setting process say there is no good alternative on the horizon. "I don't see a clear solution to the problem," said Snider. If U.S. or British authorities impose controls on how Libor is calculated and how derivatives based on it are traded, banks might try to set benchmark rates and trade contracts in another global financial center where there is no such oversight. "Banks don't like to give up information. They make money when things are opaque," said Andrew Ang, professor of finance and economics at Columbia University. "They currently have an information advantage and that's very valuable to them. When you move to a system that is more transparent, they lose that advantage."